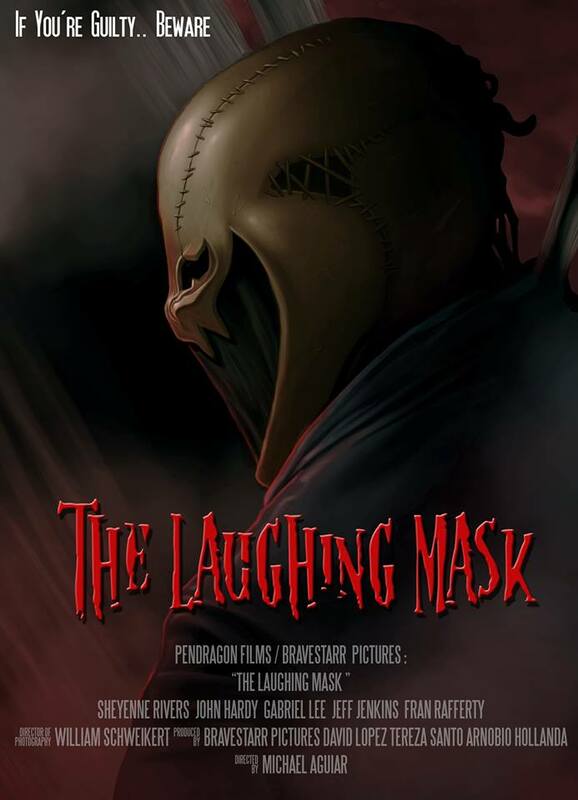 Director Michael Aguiar's indie slasher The Laughing Mask, starring John Hardy, Sheyenne Rivers, Gabriel Lee and Jeffrey Jenkins, has been acquired by Leomark Studios for digital, bowing June 24. Jake (John Hardy) has lost his wife to the Laughing Mask killer. Recently, his daughter has been kidnapped by this same madman. Jake must work with the diligent detective, Kate O'Malley (Sheyenne Rivers), to track down this elusive man. But, where the Laughing Mask takes him, Jake is unprepared to go. 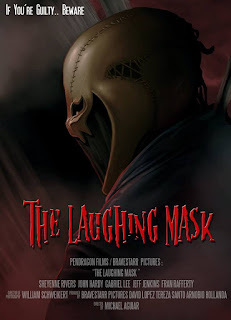 Jake must deal with a strange assortment of monsters and creatures, within the Laughing Mask's darkened lair. The film was scripted by Aguiar.